At 5’3”, Claire Fenton is one of the smaller players on the basketball court, but it would be a mistake to underestimate what this impressive athlete is capable of achieving. 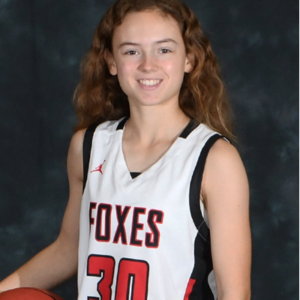 This season, Claire has been one of the Foxes’ top point earners. 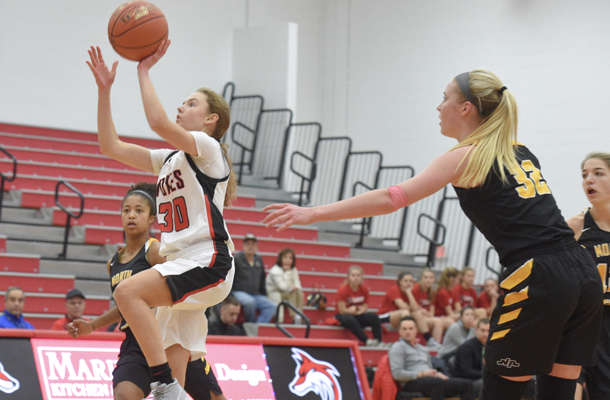 Going into the school district’s holiday break, Claire has scored double digits in every game, is shooting 88 percent from the foul line, and has increased her range as a three-point shooter. 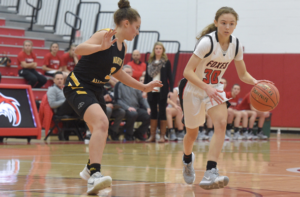 While Claire has been a force in all of the team’s game so far, perhaps her maturity as a player was most evident in the game against North Allegheny High School – the top-ranked girls’ team in the state according to preseason projections – when Claire was the Foxes’ top scorer with 19 points. It was also a career high for her. Her improvement is partially from her coaches’ guidance, but also from that of her father, a former player for Bucknell University. In the off season, the two spend a couple of days a week on the court together, and at other times Claire will shoot on her own. Claire’s steely concentration and determination will be key elements as her team and coaches work toward having their goals realized this season.